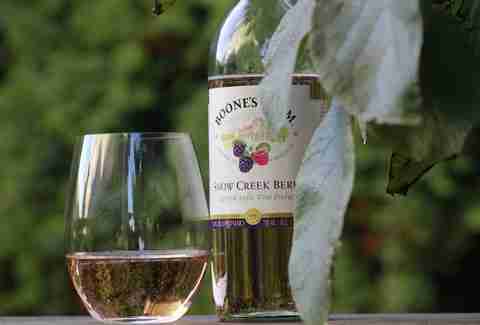 Wine is an acquired taste, and like all tastes developed over time, it had to start somewhere -- for many, it was a magical place called Boone's Farm. 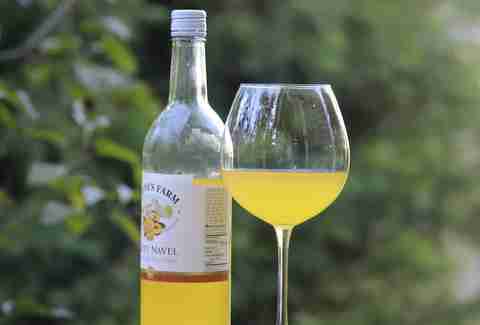 And so, like a college kid who's had a few too many bottles of Kiwi Strawberry, we thought it would be a good idea to revisit our first love to find out if she had gotten gross. To help you decide if it's worth revisiting the Farm, we rounded up six flavors (the only ones we could find after an exhaustive search) and power-ranked the heck out of 'em. 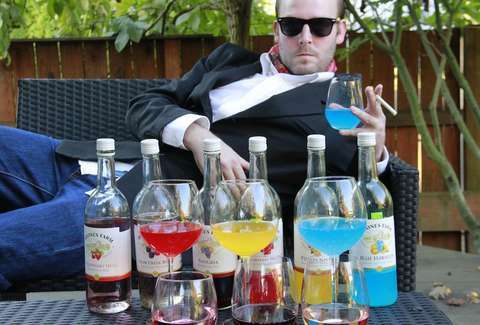 Realizing that Parrotheads might want an affordable wine alternative, Boone's dropped this version of the tropical cocktail. It tastes a lot like somebody dissolved a strawberry hard candy from your grandma's jar in a bucket of Hi-C, then allowed it to ferment into a neon concoction that kind of hurts your teeth to drink, but packs enough sugar to keep you awake for half a Buffett show. 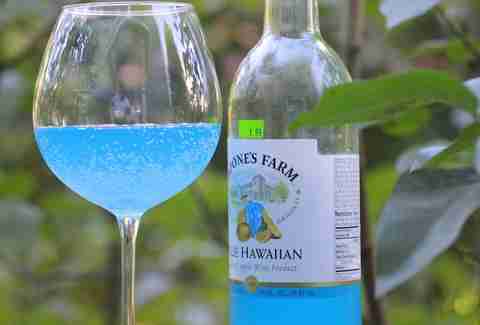 With the color of Prestone's finest windshield-washing fluid and the coconutty nose of a finely-aged David Hasselhoff, this tastes like the product of a post-luau tryst between a Piña Colada and a Bay Breeze. Between the coconut, the mango, and the pineapple, the flavor explosions are so stark and combative, you might suspect Donkey Kong's throwing a fit in your mouth. 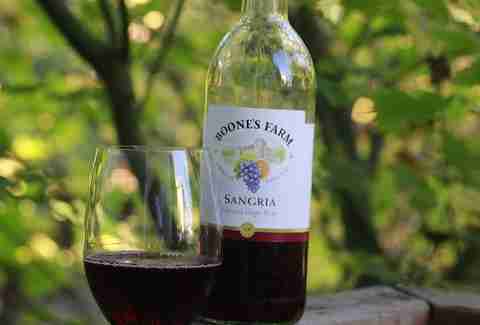 An elusive, non-apple-based Boone's offering, this "grape wine" manages the distinctive, fruity taste of actual sangria... except this sangria was made of Gallo wine and left on the counter for far too long, allowing the fresh fruit to turn mushy. There's also the sneaking suspicion that the orange flavor was collected from a trash can outside a youth soccer game, as the citrus tastes like 100% rind. Another attempt at replicating a cocktail enjoyed by old hippies and Spring breakers, this is essentially what would happen if you made peach Kool-Aid, but subbed out half the water in favor of peach schnapps. Which is to say, SPRING BREAK!!!!! And also now you have diabetes. 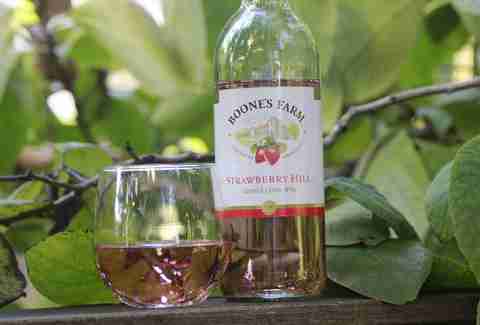 Perhaps the most sought-after vintage from the Boone's collection, Strawberry Hill's source fruit is, vaguely, "citrus", and it shows. Between the sweetness and the bubbles, it tastes like flat Sprite somebody squirted strawberry-flavored syrup into, or an Italian soda with the slight flavor of bum wine. Nonetheless, it brings back great memories of drinking too much in your parents' basement. 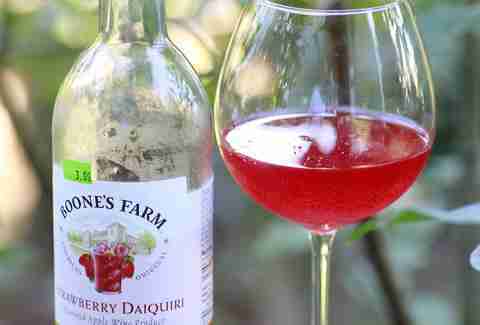 The sweet cider acidity of this "apple wine product" mixes wonderfully with the raspberry flavor, as if the good folks at E&J Gallo -- the masterminds behind Boone's -- refined their wine coolers into a high-fructose flavor explosion. We'd imagine this is what it would taste like to make out with the Snapple Lady right after she walked out of a bar.